Over the last 20 years the Internet has transformed the travel industry, creating a home for a vast number of travel websites and online travel agents. Websites such as Travelocity, Expedia, Orbitz and Lastminute.com have vastly increased their market share over the last decade and online bookings now represent more than half of all travel reservations made. More interesting stats here. The internet has also given the opportunity for the thousands of smaller travel agents and independent hotels to connect with each other for mutual benefit. This was made possible by overarching systems – Global Distribution Systems (or GDSs) – that allow hoteliers to easily share booking information with a wide range of travel agents and websites. GDS were a big step forward a few years ago. They're sometimes considered a thing of the past now, as OTAs are getting bigger and as tech savy guests more and more book without the help of a travel agent/agency. Originally conceived and used by the airline industry, but since adapted for hotels and car rental services, a GDS represents a single point of entry to thousands of travel agents. The GDS passes information such as available inventory and rates from the hotel to the travel agent and allows travelers from all over the world to book rooms even when they've never heard of the hotel before and without having to directly visit a hotel's website. How can hoteliers work with a GDS? The major GDS are Sabre, Galileo, Worldspan and Amadeus. Hotels often work with these through their Property Management System (PMS). Property Management Systems allow hoteliers to automatically integrate GDS bookings in their reservation system - and to send back rates and room availability that are always up to date. Frontdesk Anywhere PMS, for example, connects with the four previously mentioned Global Distribution Systems. Independent hoteliers can also connect with GDS using channel managers. What are the main advantages of using a GDS? Growing brand awareness and customer base. By accessing a GDS through a Property Management System hoteliers have the additional advantage of gaining this access without the complexity of setting up the necessary systems themselves and avoiding any costly mistake or overbooking. In conclusion, GDS can be an interesting part of the online distribution mix for independent hotels, along with OTAs, and most importantly the hotel's own website. 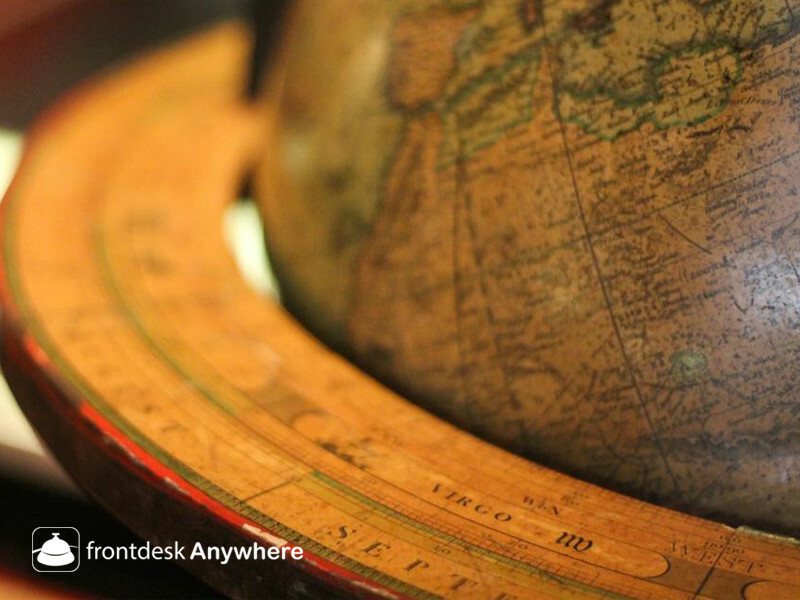 Frontdesk Anywhere offers an attractive and commission-free booking engine to all its customers to help independent hoteliers grow direct revenues. Read our next post to discover how you can improve your direct bookings.